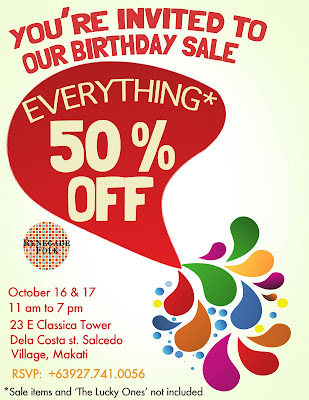 www.raleene.com: RENEGADE FOLK Birthday Sale! Follow them on Twitter, Facebook or on Blogspot. All their followers and fans will automatically get a free invite and will be the first to get a hold of Renegade Folk pairs at 50% OFF! They're giving away a FREE PAIR to a lucky follower/fan to be announced on Friday, October 15, 2010 (you may claim your prize at the Birthday Sale). Don't miss your chance to score some of their eye-catching shoes before they run out!